Apr 22: Cutaway archtops – how many? 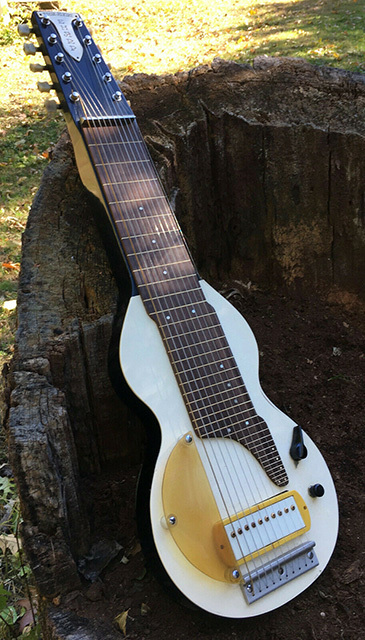 The name "Epiphone" has been part of American music history since the 1920s when Epaminondas "Epi" Stathopoulo (1893–1943), the young president of a family-owned instrument manufacturing company based in New York, introduced a successful line of banjos with this brand, soon followed by guitars. 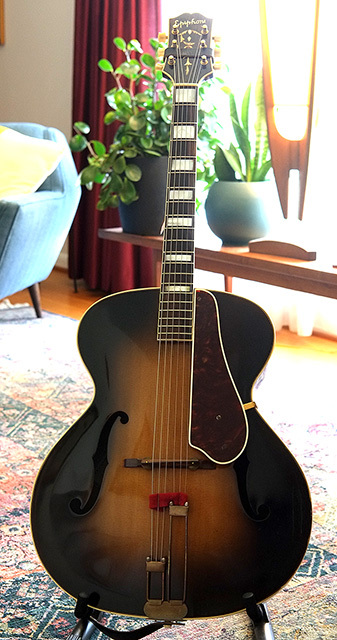 Over the following decades the quality of Epiphone's archtop guitars and other stringed instruments gained a high reputation, leading numerous top players to choose Epiphone instruments for performing and recording their music. 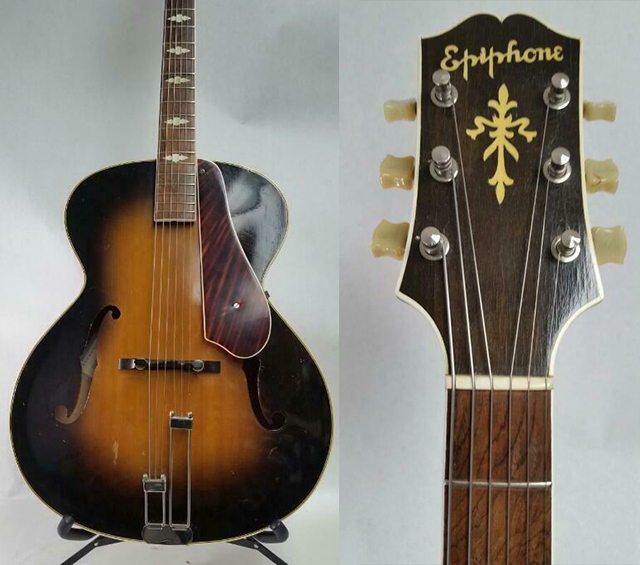 Today these fine vintage Epiphone instruments continue to be of interest to musicians, collectors and historians. 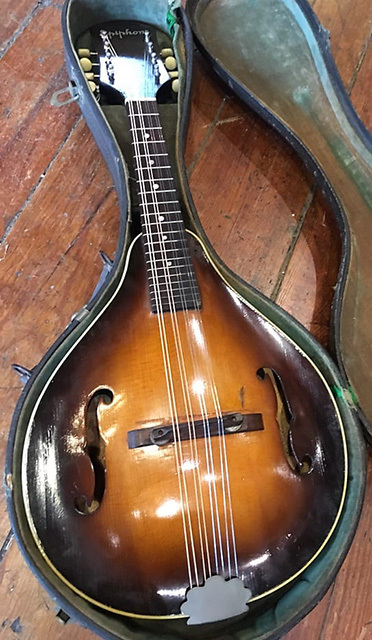 Many rate the quality of these instruments on a par with competitors of their time such as Gibson, D'Angelico, or Stromberg, to name just a few. 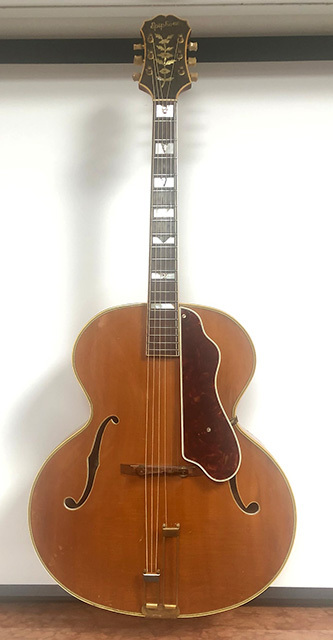 The era of the original NY-based Epiphone company ended when, after a long decline, it was sold by the Stathopoulo family in 1957 to Chicago Musical Instruments (CMI) – the parent company of their main competitor Gibson. 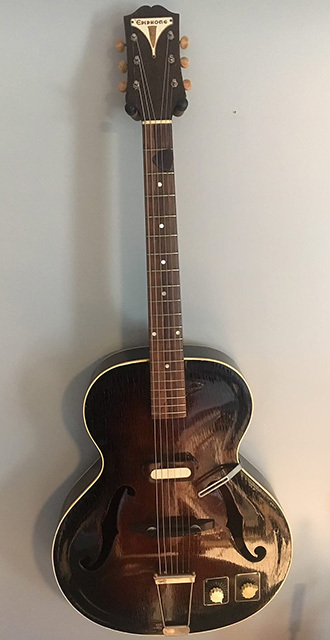 The new owners continued to produce Epiphone-branded instruments, first in Gibson's Kalamazoo MI factory and later in East Asia – to this day (read more about Epiphone history). 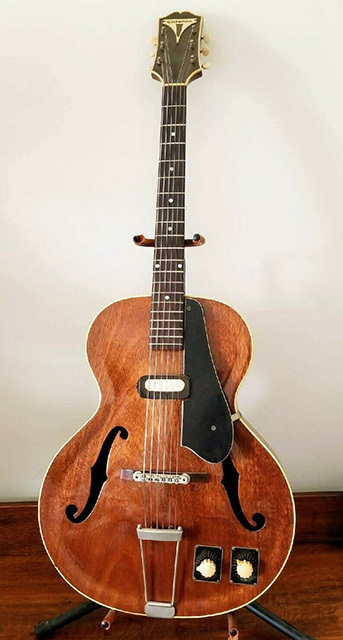 Compared with other leading manufacturers like Gibson or Martin, there seem to be more gaps and puzzles in the history of Epiphone instruments of the NY era – especially regarding production figures. Why is that? Fact is: No Epiphone factory ledgers or other official production documents from the pre-1957 years are known to have survived. 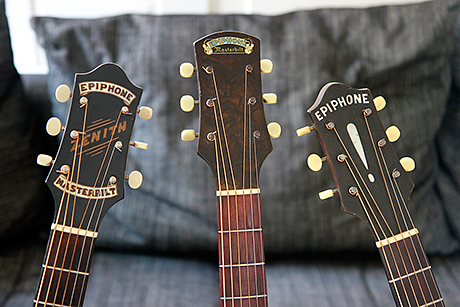 Therefore no "official" production figures are available for any of the original Epiphone models. Epiphone's serial number systems and the rationale behind them still bear some mysteries; and the production year of an Epiphone instrument can be only approximately derived from its serial number. 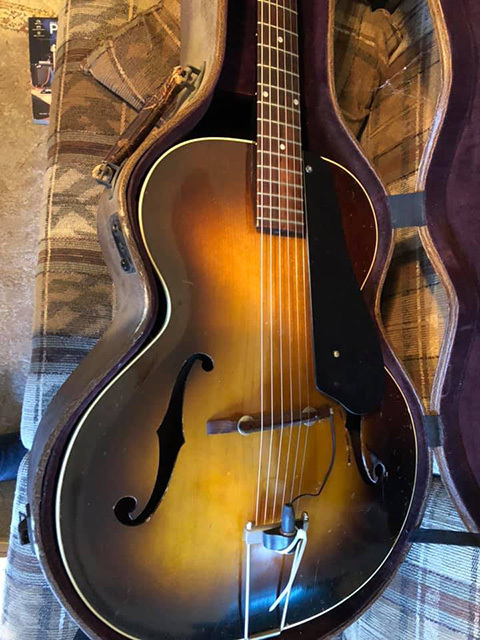 The only way to get more knowledge in this field is to gather and analyze information on as many surviving Epiphone instruments as possible. 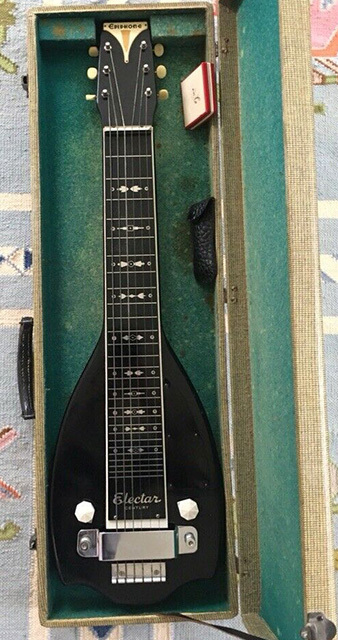 Jim Fisch and L. B. Fred, authors of the outstanding reference book Epiphone: The House of Stathopoulo (Amsco Publications, New York, 1996) had started a list of documented instruments (serial number/model) – a few hundred in total. 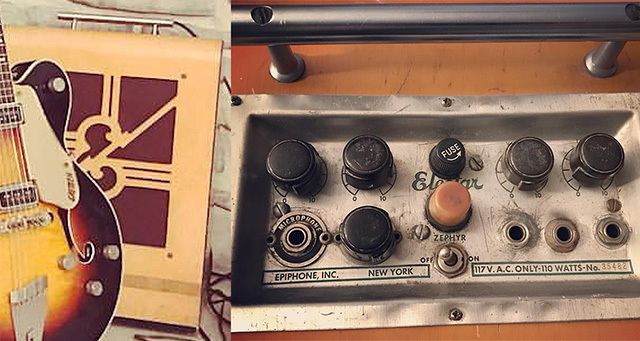 The Unofficial New York Epiphone Registry (NY Epi Reg) project aims to continue and deepen the research started by Fisch/Fred: by collecting additional data on surviving instruments, with the help of the worldwide "Epiphone community", i.e. 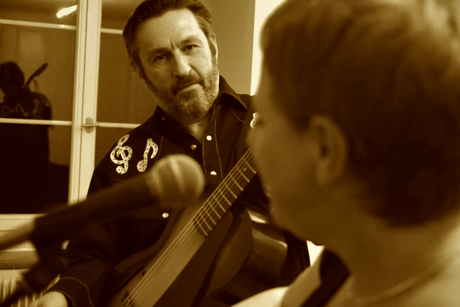 players, collectors, dealers, luthiers and historians who own and appreciate Epiphone instruments. 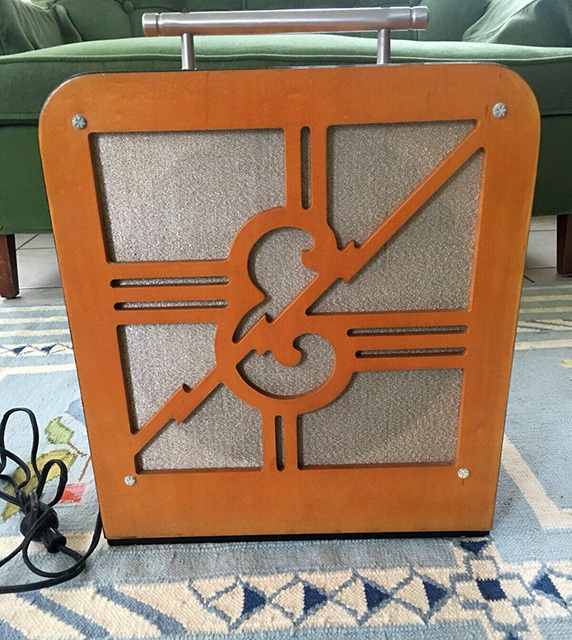 Registry database: We have documented up to now about 4300 instruments and amps of the 1930–50s period – about 9% of the estimated instrument production – listed with model name, serial number, and approximate production year. Most entries include a photo (currently 1 pic per item, although our research library includes >50’000 photos in total). Model history: Read our detailed descriptions of each model’s features and changes over the years – with links to photos showing the described detail. Our Timeline offers a chronological overview of developments from 1931 to 1956, again with photos illustrating described features. 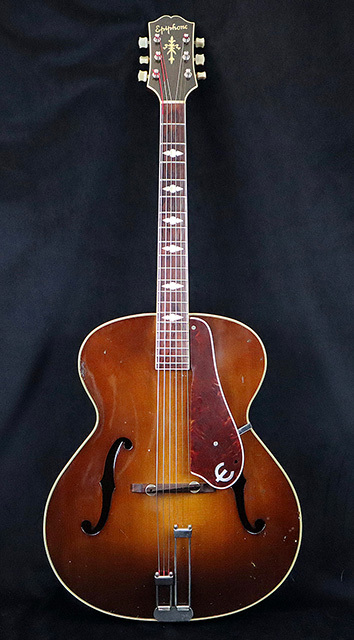 Serial number research: Our research provides an in-depth analysis of Epiphone’s various serial number systems used between 1931 and 1956. See our revised charts for dating serial numbers of Epiphone instruments and amplifiers. Production figures: Based on our registry data and serial number research we provide examples of model production estimates, using our own approximation (interpolation + extrapolation) algorithms. Historic catalogs and price lists: PDFs of Epiphone sales literature from 1930–50s are available for free download. We hope that this data collection will continue to grow as Epiphone instrument owners all over the world keep contributing info. This research project was inspired by similar projects covering other brands and types of vintage musical instruments – such as the Mandolin Archive, Banner Gibsons Registry, Gibson J-35 Registry, Larson Brothers Guitar Registry, Unofficial Martin Guitar Registry, Vintage Les Paul Guitar Registry, and last but not least, Kalamazoo Gals: A Story of Extraordinary Women & Gibson's 'Banner' Guitars of WWII. 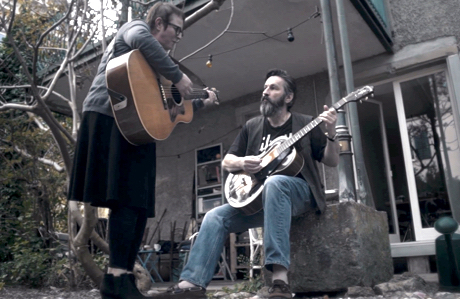 NY Epi Reg is a private, non-commercial research project driven by my personal interest in vintage Epiphone instruments – as a player and collector of fine guitars and mandolins. 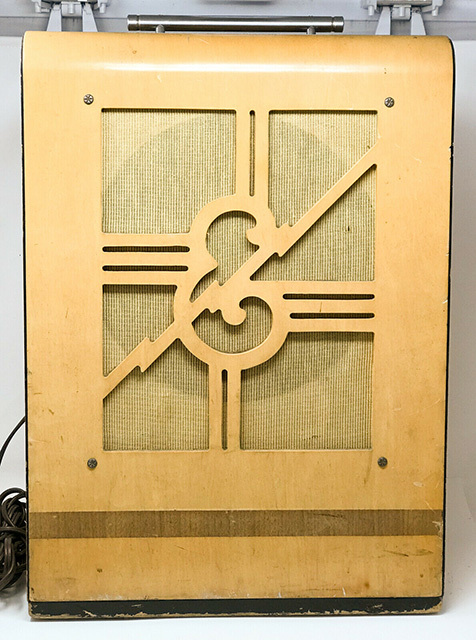 The project's sole purpose is to learn more and share info about the great musical instruments of Epiphone's New York era. A big "thank you" to all you contributors out there who made and make this project fly!